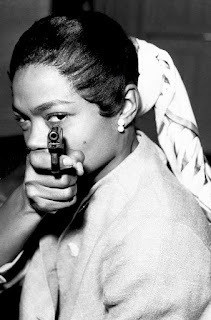 Home / lifestyle / trending / trending news / Guess Which Actress Eartha Kitt Slapped! Guess Which Actress Eartha Kitt Slapped! 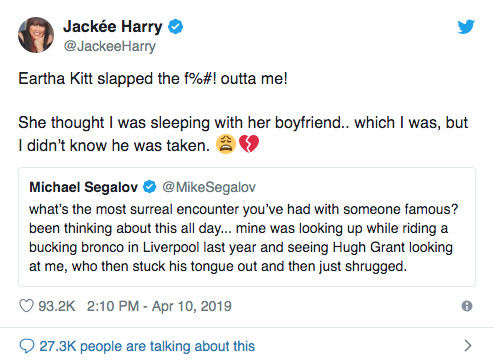 Sister, Sister star Jackée Harry opened up on Twitter about when she was slapped by Eartha Kitt! 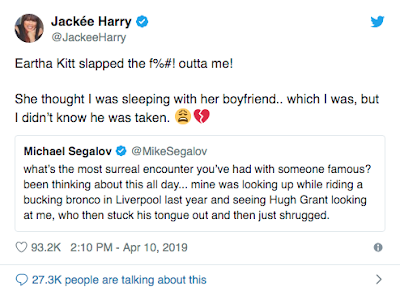 Jackée Harry says "Eartha Kitt slapped the f%#! outta me!" Harry was sleeping with Eartha Kitt's boyfriend...but she didn't know he was taken man!